Last month, we took a trip of a lifetime to Alaska and Western Canada. We spent 3 nights in Vancouver, BC and then boarded the Celebrity Infinity for a 7 day cruise to Alaska. Upon our return to Vancouver, we hired a car and drove from Vancouver to Calgary, stopping in Kamloops, Jasper, Lake Louise and Banff. Flyover Canada in Vancouver: Virtual helicopter ride over Canada’s most magnificent landscapes. Best value for money attraction in Vancouver, in my opinion. Not only you fly over amazing landscapes, you can smell the meadows and feel the mist from the Niagara falls. No photos, but a link here with a 30 second video of the experience. Grouse mountain, Vancouver: Meeting the two resident grizzlies, Grinder and Coola was a big highlight and the Lumberjack show had us in stitches all the way through. Full details here. Hubbard glacier, Alaska: Getting close to the Hubbard glacier (the largest tidewater glacier in Alaska) aboard the cruise ship and seeing 400 year old ice calving in to the ocean. Full report here. Icy Strait Point zip ride: Thrilling ride on the World’s Largest zip ride at Icy Strait point. Dropping 1330 feet (for comparison, that’s taller than the Empire State building in New York) in 90 seconds! Full story here. It’s a loooooong way down – 1330 feet to be exact! Whales: Two humpback whales jumped out of the water and fell back down at Icy Strait Point, whilst we were walking down the sea front. No warning whatsoever. No photos (as I didn’t have my camera ready), but it’s a sight I shall never forget. Photo below is of Celebrity Millenium (Infinity’s sister ship) docked at Icy Strait Point. Misty fjords in Ketchikan: Ride aboard a fast catamaran boat to see the Misty fjords in Ketchikan. Think Narnia, Lord of the rings and the Lost World, all rolled together. Full report here. Driving across the Rockies: Driving from Vancouver to Calgary via Kamloops, Jasper, Lake Louise and Banff. Snow capped peaks rising left and right, lakes around every corner and the endless road. Most amazing scenery I’ve ever seen. Exploring the Athabasca Glacier: Going on to the Athabasca glacier on a 6-wheel drive ice explorer. Walking (and slipping) on the glacier and filling our water bottles from the glacier streams. Glacier Skywalk: Walking across the glass walkway suspended 1000 feet above the Sunwapta valley, and staring into the river canyon below. Amazing and terrifying at the same time. Lake Louise hike – A 6 hour hike to two of the highest tea houses in the Canadian Rockies. Amazing views of Lake Louise and even more glaciers. River safari and bears: Going on a jet boat safari in blue river and seen two black bears – having a friendly brawl. Last but by no means least, Canadians: All the Canadians that we met on our trip, without exception, were really lovely. Everyone was so polite, friendly and happy, with a fantastic sense of humor. This is what made our trip really memorable and fun and one of the main reasons we will be returning to Canada in the future – many times, I hope! 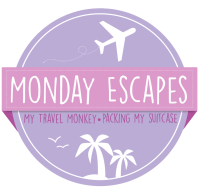 This post is a part of #MondayEscapes with Packing My Suitcase and My Travel Monkey . Previous Post: To Cruise or Not to Cruise? Oh my!! So beautiful. I’ve never seen snow (or icy places for that matter, unless you count the Alps from afar in Italy). I’d love to visit Alaska. Alaska is definitely worth a visit – scenery there is amazing. Thanks for stopping by! OMG, when I lived in Canada I always wanted to take this trip! Lake Louise is amazing! Thank you. It is a truly beautiful part of the world. I didn’t realise you lived in Canada! Where abouts did you live? it is indeed a trip of a lifetime:) great photos! What an awesome trip to Alaska and Canada! I’d love to see humpback whales myself! 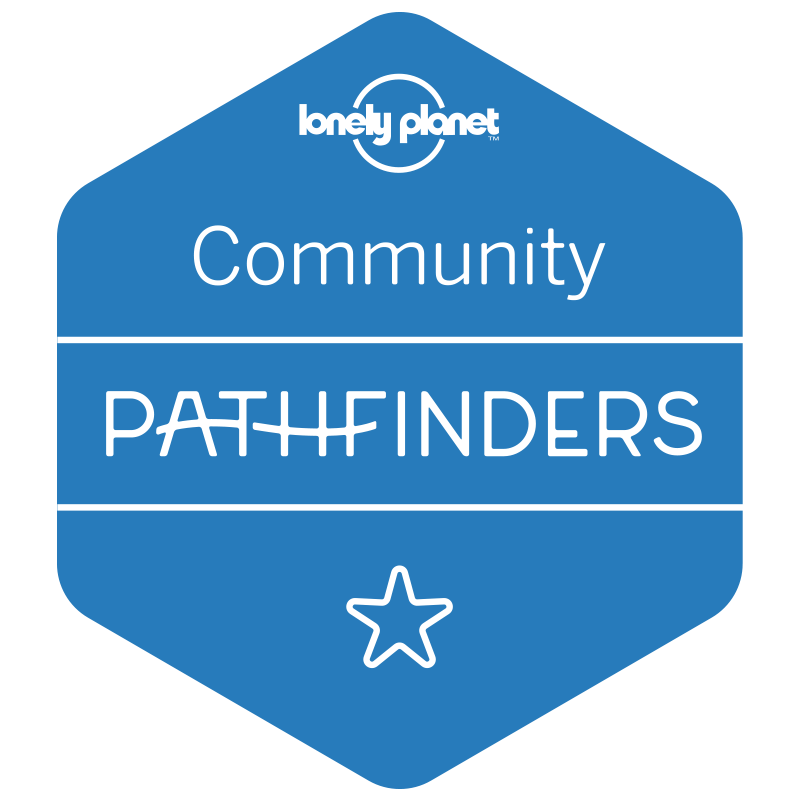 I’m looking forward to your coming posts about your journey. Hi Rosemary, thank you for the comment and following. I look forward to seeing more of your adventures. I agree. Lake Louise is indeed gorgeous beyond belief – and Alaska definitely worth a trip – does your uncle still live there? I see. Well, Alaska is definitely worth going to, uncle or no uncle. Landscapes there are changing so rapidly, because many of the glaciers are retreating. What an incredible experience! Wonderful pics! THis was wonderful…Thank you for sharing.. Thank you. It was a really great trip.